Works great as concealer aside from foundation. Can be used without setting as it has a matte finish. Skin looks fresh, glowing and very natural (if you picked the right shade). Water-based, so lesser chance of clogging your pores. The consistency felt a bit weird, too watery for my taste (since it's housed in a tube, I would like it a bit creamier in texture). The product separates into oil and pigment so you have to shake VERY VERY WELL and vigorously. May cling on dry patches if you have dry skin. Shade selection is super difficult, it took me a while to find the perfect shade! Quick-drying, full coverage, lightweight liquid foundation that is inexpensive! Shake the product very well before use. Work quickly when you apply this product. Better to use a damp sponge if you have normal/dry skin. 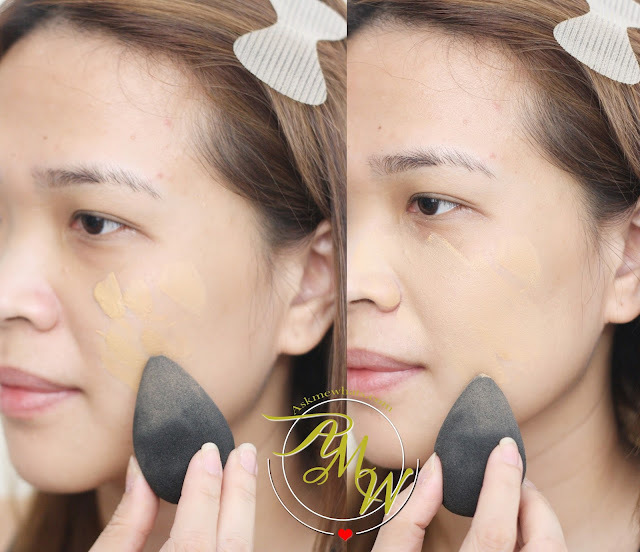 For fuller coverage, use with dry sponge, foundation brush or clean fingers. Anyone can try this, I actually have combination normal/dry skin but it works pretty well on me as long as I moisturize my skin properly. Priced at Php399.00 each available online. The product flows quickly as this is a watery foundation. Can you guess my shade? I told you the shade matching is very tricky so I highly recommend to swatch the product on face! I originally thought I'm a Light Medium but Light Medium appears too light and I look like I have a "Floating Face". The best match for me is Beige. As for application, I prefer to use a damp sponge! 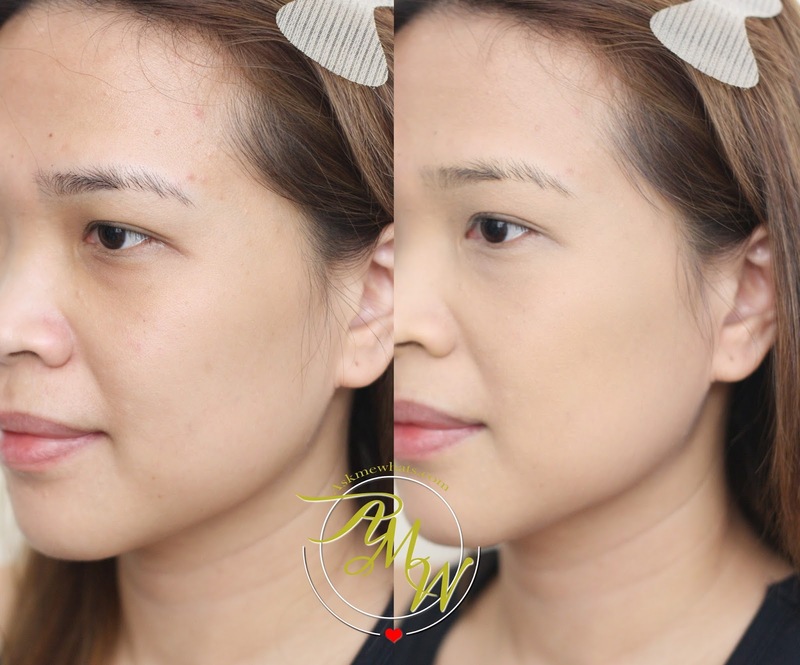 I was breaking out especially on forehead, so this is a perfect time to show how effective the coverage of Pink Sugar Our Lil' Secret Foundation is! Just applied a thin layer of product all over face. Result is amazing! Have you tried Pink Sugar Our Lil' Secret Foundation? Have you tried their other product offerings? I just wish they create more shades their bases is too pink on me. ahhh they have a lot of shades nga but I agree, at times you have to mix and match..we can't have 'em all!